Black morning suits There are 20 products. 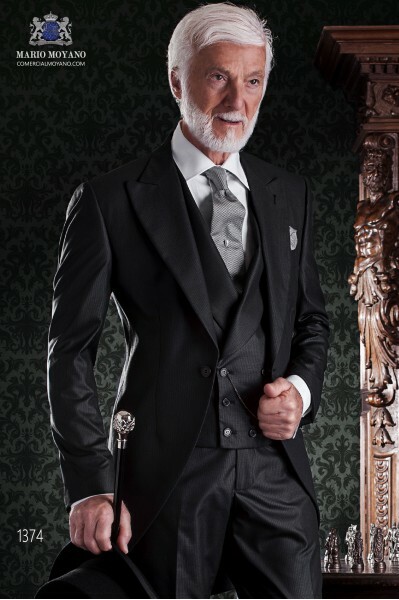 Frock coat Italian tailoring with elegant cut Slim. Fabric 100% wool pants and black label. 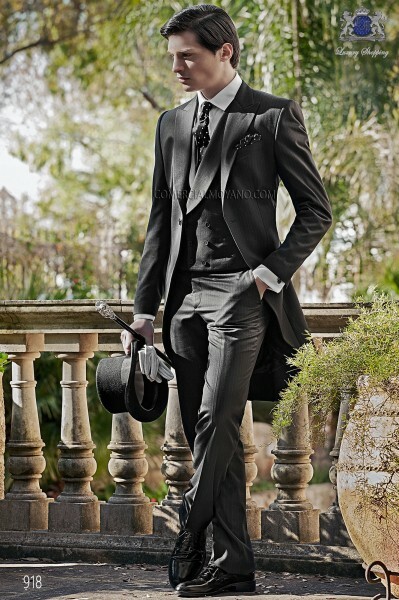 The classic tuxedo, suit excellence boyfriend, provides an impeccable presence, to rise to the occasion. Sophisticated and elegant, the use of this combination is derived rigorously morning ceremonies. It comes with bag garment bag Ottavio Nuccio Gala. 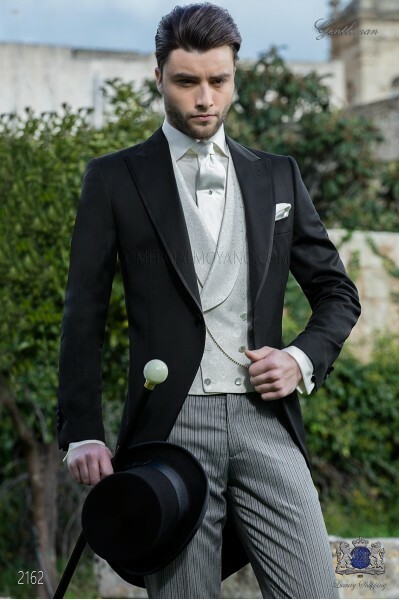 Italian bespoke wedding morning suit, black coat in pure satin wool and formal pants, style 95 Ottavio Nuccio Gala, Gentleman collection. 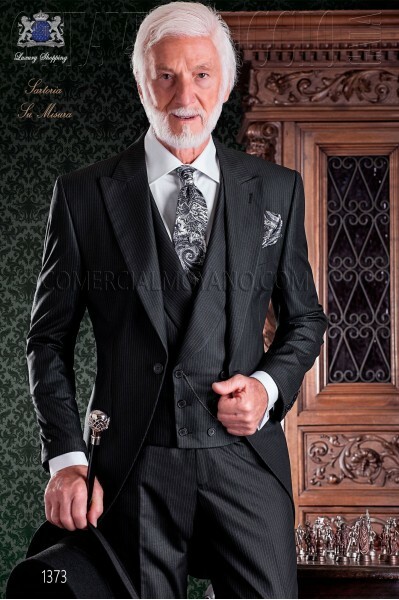 Italian bespoke black morning suit with wide peak lapels and 1 corozo button. Pure satin wool fabric. 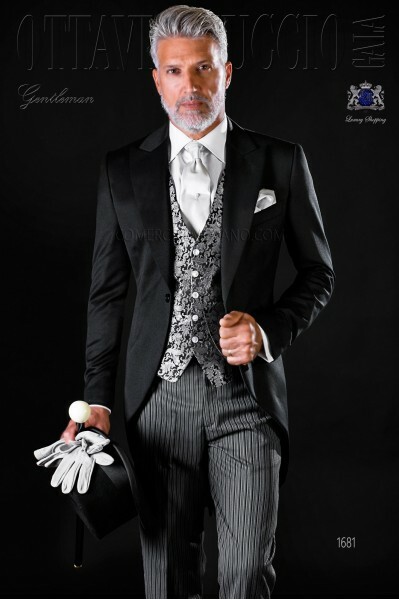 Wedding suit 2162 Gentleman Collection Ottavio Nuccio Gala. 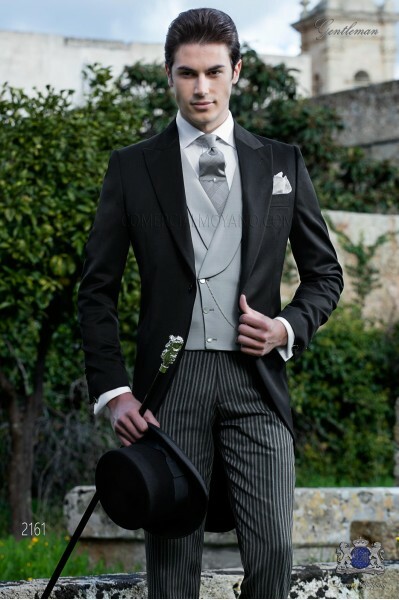 You can complete the outfit with grey black striped morning suit trousers, pure jacquard silver waistcoat with 6 mother of pearl buttons. 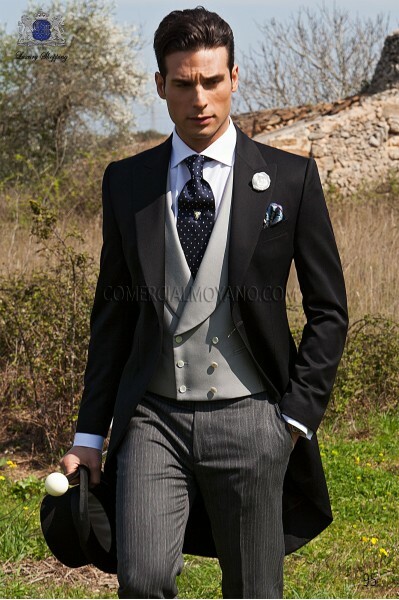 Italian bespoke wedding morning suit, in new performance black, style 917 Ottavio Nuccio Gala, Gentleman collection. 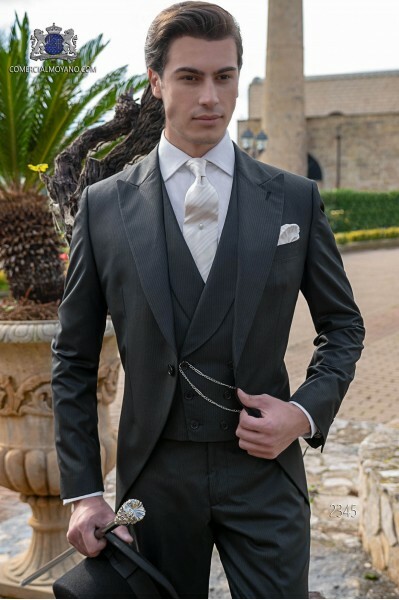 Italian bespoke wedding morning suit, in new performance black pinstripe, style 918 Ottavio Nuccio Gala, Gentleman collection. 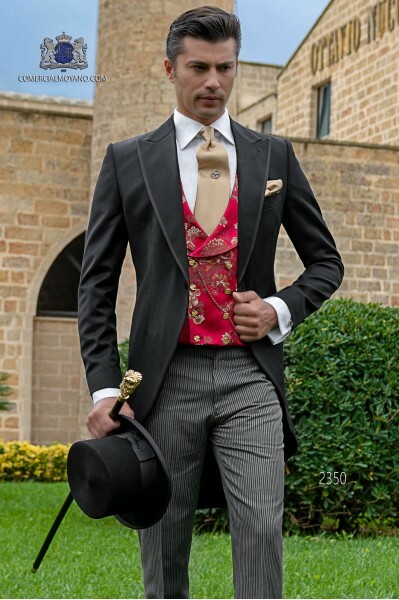 Italian bespoke wedding morning suit, style 1200 Ottavio Nuccio Gala, Gentleman collection. 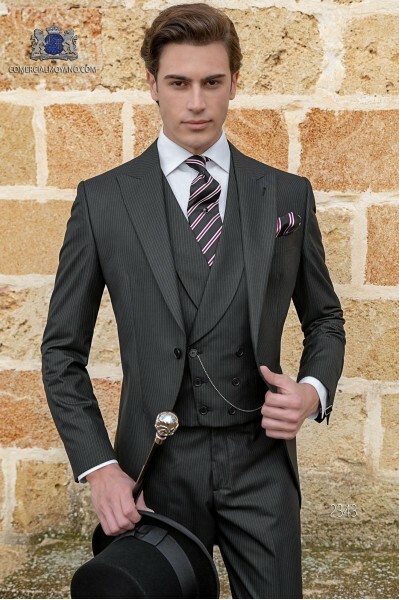 Italian bespoke black morning suit with wide peak lapels and 1 corozo button. Pure satin wool fabric. 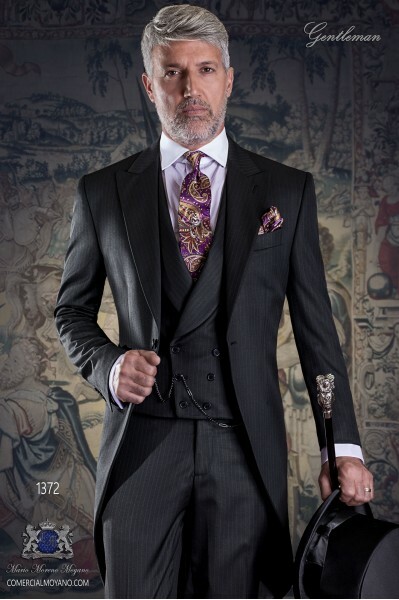 Morning suit 2160 Gentleman Collection Ottavio Nuccio Gala. 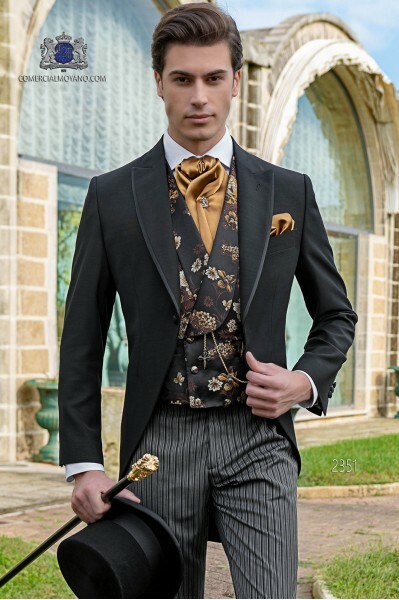 You can complete the outfit with golden black striped morning suit trousers, pure jacquard silk black and grey waistcoat with 4 mother of pearl buttons. 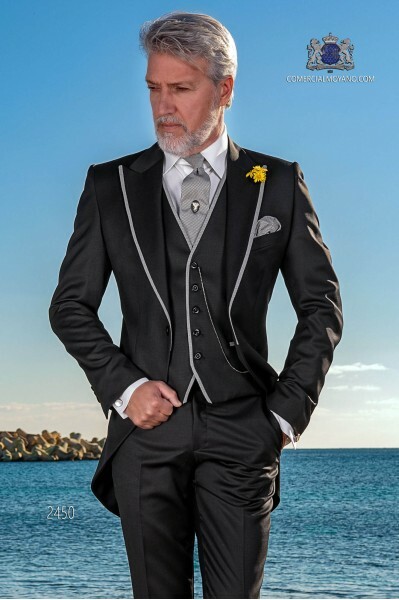 Italian bespoke black morning suit with wide peak lapels and 1 corozo button. Pure satin wool fabric. 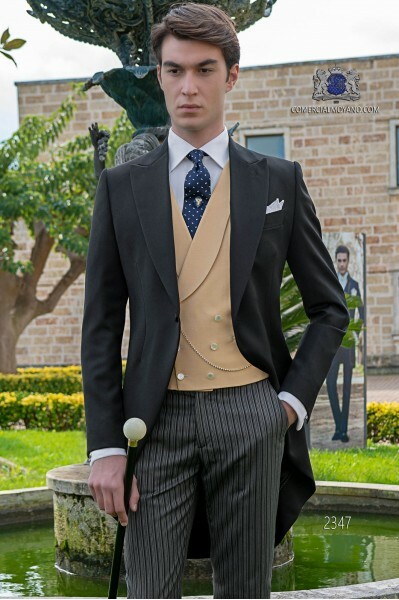 Morning suit 2150 Gentleman Collection Ottavio Nuccio Gala. 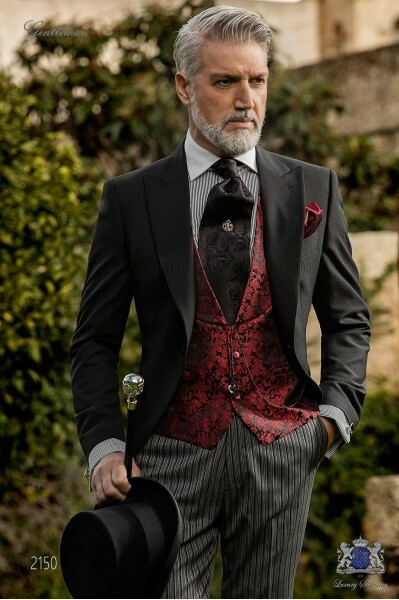 You can complete the outfit with red black striped morning suit trousers, pure jacquard silk black and grey waistcoat with 4 mother of pearl buttons. 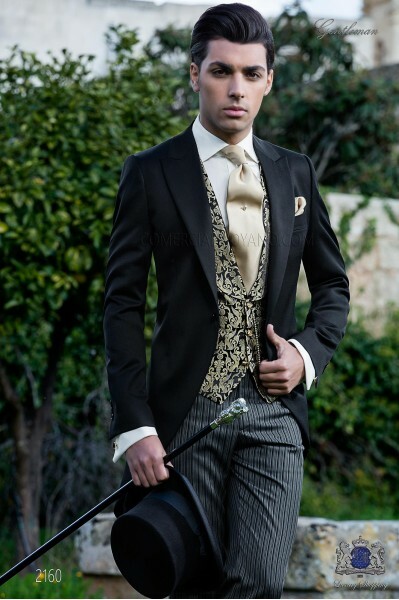 Frock coat of Italian tailoring Slim stylish cut. Pinstriped fabric. 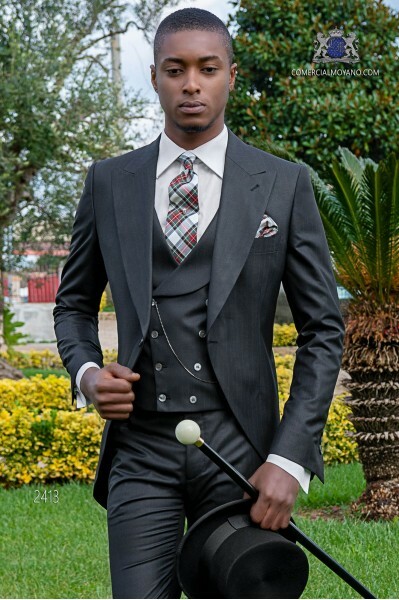 The pinstriped fabric conveys safety and proper to a gentleman who likes formality in a day of celebration sobriety. 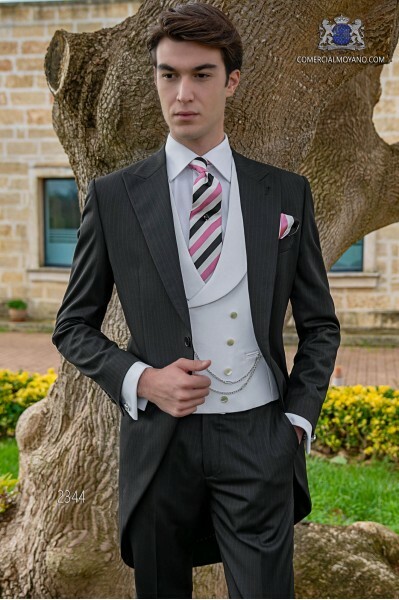 Tuxedo complete this set of cross-matching vest society. 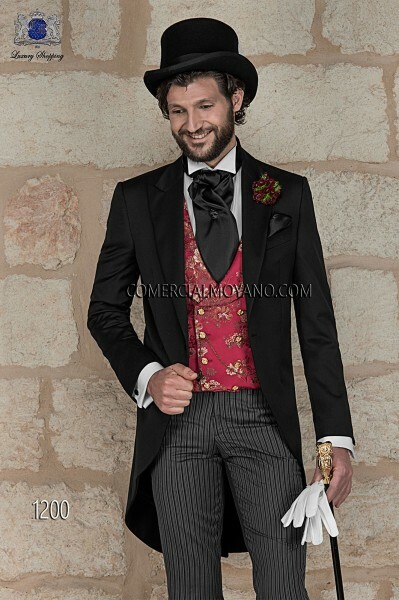 Frock coat of Italian tailoring Slim stylish cut. Tissue "ribbed". This tissue "ribbed" conveys security and proper to a gentleman who likes a celebration sober formality. "Mil" discrete thin stripes on black make this outfit a classic hit. 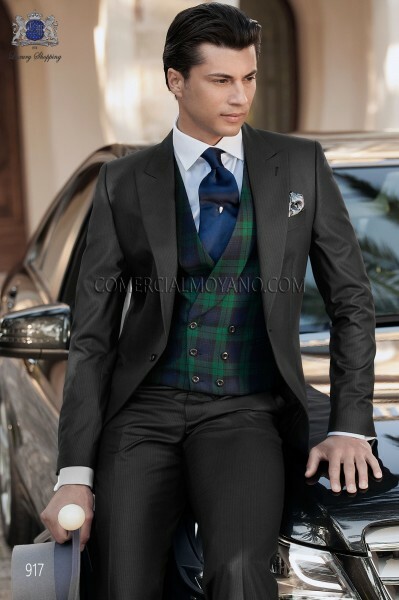 Tuxedo complete this set of cross-matching vest society. It comes with bag garment bag Ottavio Nuccio Gala.